Man! Taking permission back from Jabby is like trying to put the toothpaste back in the tube. Is Jabby controlling his legs or rest of his body? Couldn’t Mauricio find an isolated place and refuse to leave? Since Jabby rebuilt/repaired Mauricio’s body, I sense that he might now have more control over gross motor functions – like walking. It’s possible he has a lot more control over Mauricio than he realises but Jabby isn’t letting him know. The universe’s sense of humor is as dark as the expanse between stars. Uh… Nothing can stop me now! Except for giant piles of free money. Those would be REALLY inconvenient right about now. I like the fedora. Good job, fashion bot! Thanks! Small brimmed fedoras (as well as ponchos) seem a noticeable thing, especially in older generations or rural Ecuador (where Mauricio is from). It’s hard to tell if it’s actually a thing, or just what travelers/tourists (the internet) sees, and how much it has continued with contemporary generations. It’s not just the men who wear fedora type hats and ponchos but the women too. Like you said, mostly the older generation. Despite similar top garb, it’s easy to tell women from men. They wear colourful gathered at the waist skirts – sometimes layering them – and generally have their long hair in braids. The Fedora was originally a female only hat. It originated in 1887 from a popular play in which actress Sarah Bernhardt played a headstrong Russian princess named Fédora Romanoff. The hat was designed specifically for her for that role. Then somewhere along the fashion line some haberdashers tweaked it up a bit and introduced it as a men’s hat, whereupon the design fell out of favor with the womenfolk. Interesting. Was the final garb perhaps inspired by “The Phantom”? What we feared, Jabby has built himself so much into Mauricio, he can take over his body, enough of it to move around with as Jabby’s own. I can guess now what Jabby is using as a guide to when to kill. Displeasure from his host. Enough to give the green light to that awful A.I. Slick Jabby is, Machiavellian intelligence he uses with alacrity. Mauricio needs a deep psychological reorientation if he hopes to regain control. But then Jabby will destroy anyone who tries. Almost human in his reactions too. Jabby could even be a “weak A.I.”which is an organic brain templated into a computer with all its benefits plus the organics advantages. Just a guess of course. The Universe has no emotions of any kind much less human ones. But some will lean toward anthropomorphism to be emotionally comfortable. A psychological out growth of the human mind. Like the normal fall back to dualism when science keeps telling us there is no such thing. No place for a soul in physics of any kind. Yet people universally speak of one or more. However I am open to it being discovered. And biology and physics having to be overhauled. But until then I shall keep the soul as fiction for now. What’s a psycho arm need with a starship, anyway? I shouldn’t really ask. I know I’m going to find the answer anyway, and it’s going to make me physically ill. But the question is just hanging there. I also want to know Jabby’s ultimate destination and purpose, but I’ve already asked my question dripping with dread, so I’ll stop. I’m curious to know what Jabby’s motivation was in not killing Pilot and Jibbz since that’s the way it always handled matters before. Of course, it’s essential to your story that Pilot and Jibbz live, Chris. But again, I’m curious if you might use this as a turning point in Jabby’s personality. After all, the Mauricio/Jabby hybrid that’s holding Nogg and Mr. Zorilla prisoner seems to be very much in Mauricio’s control, not Jabby. Something must’ve changed/happened to Jabby between now and then. Shooting Pilot and Jibbz might damage the mover they were sitting in. Dropping something heavy on it that would squish them but not damage the mover is safer. 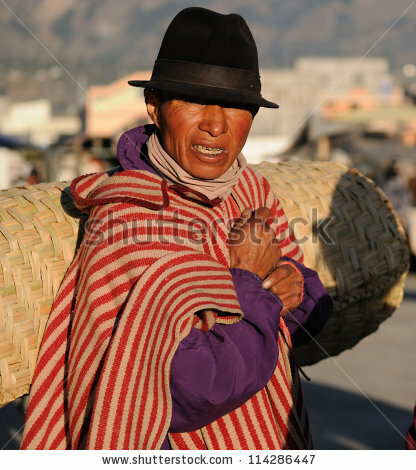 > One of the more striking types of Bolivian clothing is the bowler hat worn by Aymara women. Known as a bombin, it was introduced to Bolivia by British railway workers. It is uncertain why more women tend to wear the bombin than men. For many years, a factory in Italy manufactured bombins for the Bolivian market, but they are now made locally by Bolivians. Pieces of clothing showing up in unexpected places is fun memeology.